The greatest generation of men is described as those who served in the world wars. All the while, the greatest generation of women were at home, keeping root cellars stocked with vegetables and canned fruits, and making sure home fires continued to warm the hearts of children. Bernice was one of the last of this generation. She shed her 92-year-old body on November 30, 2015, and left behind her three devoted children, all of Poulsbo: Dianne Walker (Mike), Guy Denton (Leighann) and Denise Zaske. 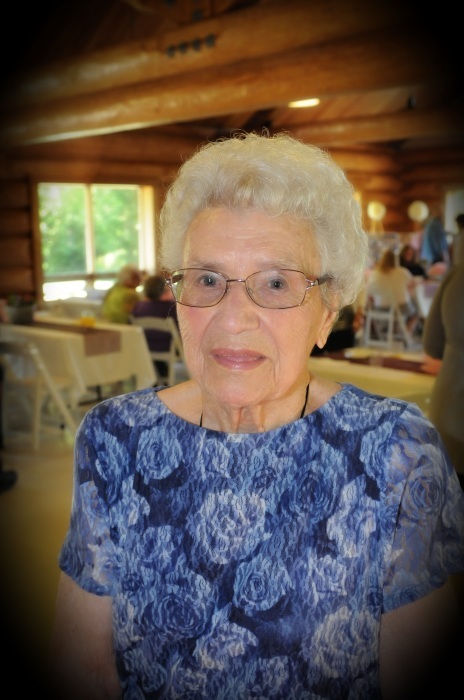 Her long and fulfilling journey allowed her to witness life’s opportunities for eight grandchildren—Steven Battin, Michael Battin, Sandra Schneider (Darrell), Jayna Terris (Ed), Kim Kjeldgaard (Pat), Jeff Denton (Jamie), Dana Horn and Chelsea Scott (Matt) –15 great-grandchildren and four great-great grandchildren. Bernice was born on December 24, 1922, in Seattle, Washington. She was the daughter of Arthur Criss and Bertha Fisher Erwin Criss. Her honored older brother, Eugene Erwin, worked long hours for Pope & Talbot and sheltered Bernice from the everyday harshness of life. Bernice’s younger brother, Bill Criss, was a fun-loving, adventurous soul. Because Bernice was in charge of him during his youth, she fondly remembers desperately chasing him through Agate Pass as he drifted along on a log. As a 1940 graduate of Union High School #4 (North Kitsap), she went on to business college in Seattle, following her mother’s footsteps by attending A. A. Peterson Private Commercial School. 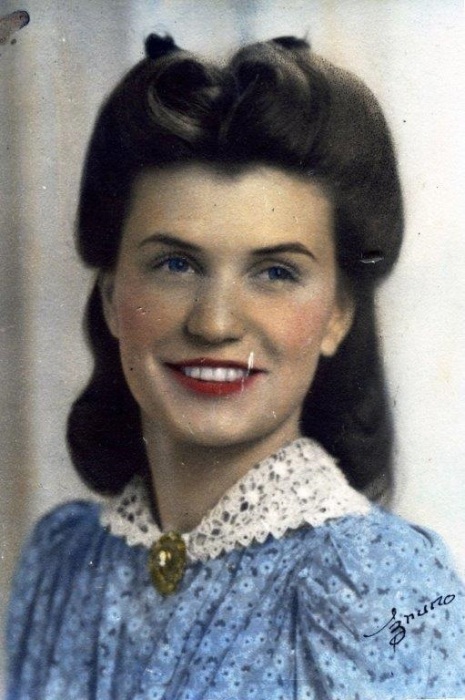 She was extremely proficient as a secretary, beginning her career at Seattle’s Bemis Bag Company, working alongside her favorite cousin, Virginia Gable. In 1944, she married Denny Denton, a Chief in the United States Coast Guard. She travelled to California as Denny served duty overseas, then returned to Seattle while he served in the Aleutian Islands during World War II. Upon Denny’s discharge from the Coast Guard, the family returned to live in Bernice’s family home in Poulsbo in 1954. A survivor of the Great Depression, Bernice knew how to pinch a penny. She labored in her vegetable garden, oversaw the meat-cutting of the farm’s beef, and assisted with the apple press, not only turning apples into cider, but making the best apple jack in North Kitsap. Her good friend, Ingeborg Weierholt, patiently taught her the intricacies of knitting traditional Norwegian sweaters. Once Bernice’s children were in high school, she returned to her profession as a secretary. She began her re-entry into the workforce at the Keyport Naval Torpedo Station and progressed to serving as the secretary to the first commanding officer of Trident SUBBASE Bangor, CDR Gordon Bryan. Bernice always took pride as a plankholder of SUBBASE Bangor. After leaving Bangor, Bernice continued to enjoy gardening, volunteering at Fishline, and spending time with Frank and Genny Randall at their adjoining properties on the Little Quil River in Quilcene. Bernice had fond memories of Frank’s voice accompanying the piano tunes of her talented friend, Lexie Desonia. Having spent 12 Januaries with her mother on the Big Island of Hawaii, she truly treasured her friendships with Randy and Bea Sanchez, whose yearly luaus and Hawaiian music captivated her heart. Bernice’s last years were spent in the loving care of her son, Guy, at her home on Denton Road where she’d lived since 1937. Her final years were blessed with the support of her children and grandchildren, the loving kindness of Darlene Munroe, Glenna Johnson (her hairdresser for over 50 years), and her “adopted” sons, Hal Zaske, Frank Leach and Eddie Moore. The family wishes to thank everyone for their support during this time of sorrow. At Bernice’s request, there will be no services. Because of Bernice’s love of wildlife and the outdoors, she would be honored by your donations to Sea Shepherd Conservation Society (www.seashepherd.org) or the Sierra Club (www.sierraclub.org).